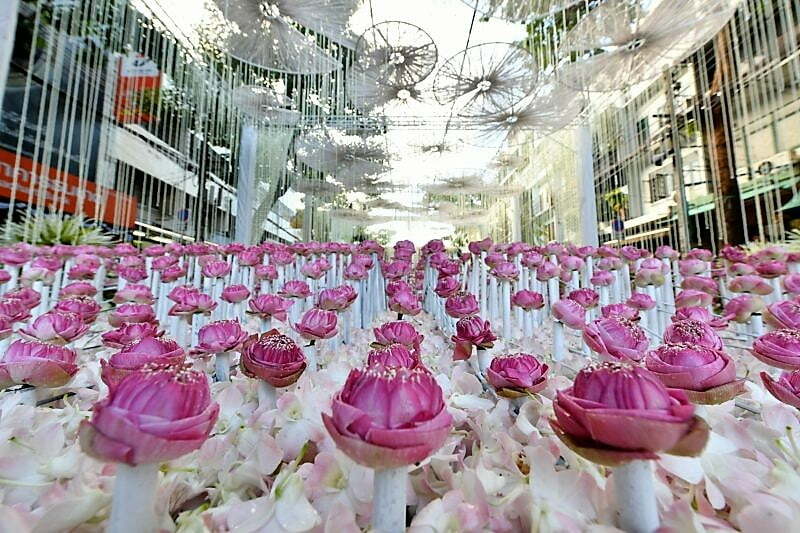 In remembrance of the beloved late King Bhumibol Adulyadej, the amazing floral displays stretched over 400 metres at the Bangkok Flower Market (Pak Klong Talad) from 21 to 27 October 2017. Volunteers, students and flower vendors created the complex displays using flowers widely grown in Thailand, including marigolds, lotuses, orchids and daffodils. 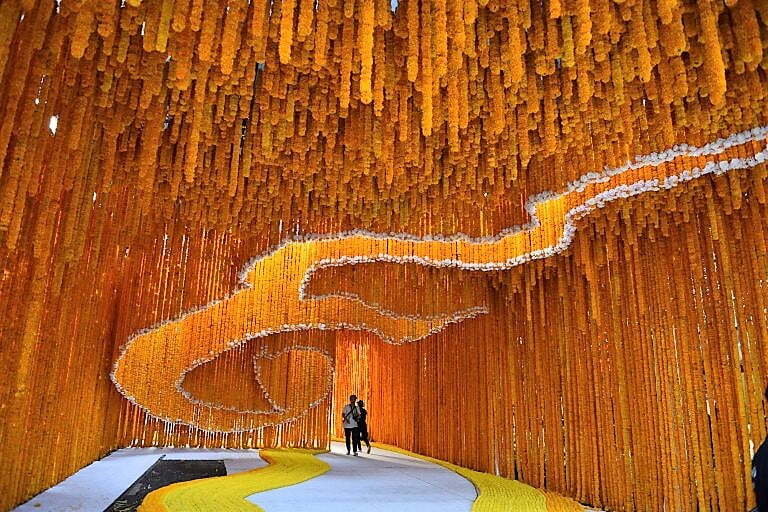 There were multiple floral themes, each with a special meaning that reflected the feelings of respect and love for the King, the highlight being an 89-metre flower tunnel. Floral arch called ‘King Rama IX’ decorated with marigolds. The deep yellow is significant, being the colour of the day HM King Bhumibol Adulyadej was born. Photo: Khaosod English.